Careem Pakistan, the region’s favorite car-booking app that allows you to get a comfortable and affordable ride at the touch of a button, is now facilitating the customers with a motorbike service, to travel around the city with the most affordable rates. 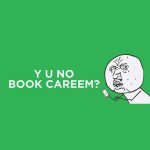 Careem has made its mark by the creative marketing strategies previously like Rishta Ride, Bakra on wheels and multiple other strategies to gain the attention of customers and facilitating them in unique ways. The company is also providing opportunities to people looking for jobs, may it be part-time or full time. The company has found ways to increase its market value and reputation in a small time span through their smart strategies. With the introduction of bike-hailing services, the company has expanded to a next level where it may be able to provide even faster and cheaper services to the users. With its new service, Careem is facilitating the customers in many ways as a bike is a faster mode of transportation in crowded streets especially in the narrow streets of Lahore or extensive traffic in Karachi. Not only the service is faster but cheaper which is an attractive feature for the people looking for affordable yet secure means of transportation. Bykea, one of the first motorbike hailing services in Pakistan for people and parcels, started the service before Careem introduced it but couldn’t get as much popularity as Careem because of the already made trust of Careem for the customers. The introduction of a motorbike service is yet another way to overcome the problems of navigating in narrow streets and crowded areas. The moving rate of the bike is to be 4 Rs. per km which is an affordable rate, the starting cost is said to be Rs 25. Careem Bike service is currently available in Lahore, Karachi, and Islamabad/Rawalpindi.